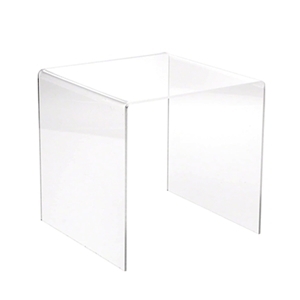 Create eye catching displays with our Clear Acrylic Riser. Made of 1/4" thick clear acrylic and available in four sizes. Purchase multiple risers for nesting or varying heights to meet your display needs. Shown with other sizes sold separately. • 12" x 12" x 12"